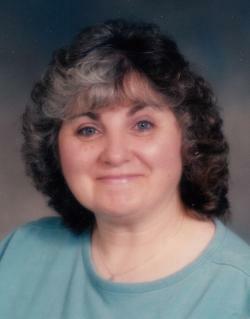 It is with deep sadness we announce the passing of Stella Catherine Marie Robichaud, age 64, of Sackville. Stella passed away unexpectedly at the Sackville Memorial Hospital on Thursday, March 28, 2019. Born in Cap-Pele, NB, she was a daughter of Eveline (Donelle) Vienneau of Shediac, and the late Yvon Vienneau. Stella worked at Cape Bald Packers for over 15 years. Stella was a dedicated mother. She loved her children and grandchildren. A very social lady, she loved visiting. She enjoyed walking, and in her younger years knitted many things for her friends and family. In addition to her mother, she will be dearly missed by her son Daniel (Jessie-Lee) Lomax, St. Marie de Kent, NB; daughter Suzanne (Troy Steeves) Robichaud, Moncton, NB; grandchildren Yordanos Lomax, Helina Lomax, Feven Lomax, Luna Lomax, Kelsey Smith and Elizabeth Smith; siblings Rita Vienneau, Ronnie (Claudette) Vienneau, May (Calvin) Goldsworthy, Winnipeg, MB, Roger Vienneau (Gege), Rose (Alcide) Cormier, Leo (Lynn) Vienneau, Euloge (Liette) Vienneau and Eric Vienneau (Ingrid Hunter), Calgary, AB; as well as several nephews and nieces. Donations in memory of Stella may be made to the Canadian Cancer Society or the Heart and Stroke Foundation. Sharing of memories, and condolences, may be sent to the family by visiting Stella's online memorial at www.jonesfuneralhome.ca or through the Jones Funeral Home Facebook Page.